If the carbon level in a low alloy steel is in the medium to high range, it can be difficult to weld. If the carbon content is lowered to a range of 0.1% to 0.3%, and some of the alloying elements are reduced, the steel can achieve a greater weld ability and formability while maintaining the strength that steel is known for. Such metals are classified as high strength, low alloy steels. However, most agree that any steel that is alloyed with more than eight percent of its weight being other elements beside iron and carbon, is high alloy steel. Low alloy steels are slightly more common. The physical properties of these steels are modified by the other elements, to give them greater hardness, durability, corrosion resistance, or toughness as compared to carbon steel. Each alloy presents different characteristics, so these qualities should be checked before using this steel for any purpose. For example, if low alloy steel with poor corrosion resistance is used for piping, then the pipes may quickly wear away. Chromium is added to the steel to increase resistance to oxidation. This resistance increases as more chromium is added. ‘Stainless Steel’ has approximately 11% chromium and a very marked degree of general corrosion resistance when compared with steels with a lower percentage of chromium. When added to low alloy steels, chromium can increase the response to heat treatment, thus improving hardenability and strength. The main use of titanium as an alloying element in steel is for carbide stabilisation. 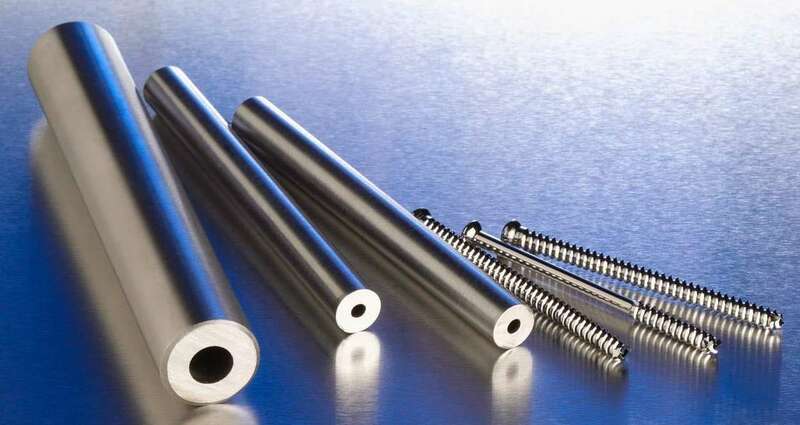 It combines with carbon to for titanium carbides, which are quite stable and hard to dissolve in steel, this tends to minimise the occurrence of inter-granular corrosion, as with A.I.S.I 321, when adding approximately 0.25%/0.60% titanium, the carbon combines with the titanium in preference to chromium, preventing a tie-up of corrosion resisting chromium as inter-granular carbides and the accompanying loss of corrosion resistance at the grain boundaries.